hope things are going good on your desk .. This entry was posted in iOS, My Tutorials and tagged Eclipse, file revision in Xcode, local history in Xcode, local history objective c, xcode. This entry was posted in Digi. Diary and tagged download eclipse for mac;, Eclipse, eclipse on mac;. Here is a 2nd part of my tutorial on Android Application Development. The first part was just an introduction to this series. Today you will learn how to setup your system to start android application development. Android applications, like most mobile phone applications, are developed in a host-target development environment. In other words, you develop your application on a host computer (where resources are abundant), and download it to a target mobile phone for testing and ultimate use. To write your own Android mobile phone applications, you’ll first need to collect the required tools and set up an appropriate development environment on your PC or Mac. 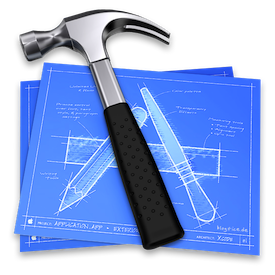 Linux, Windows, and Macintosh are all supported development environments, and i’ll tell you how to install the latest set of tools on each. Then i’ll show you any configuration you need to do after the tools are installed (setting PATH environment variables and the like), again for each of the three operating systems. And finally i’ll write a short little “Hello, Android” application that demonstrates what needs to be done to get a generic application running. Probably it will be in next part. Since you’re probably going to develop on only one of these operating systems, skip to the appropriate section that pertains to your selected operating system. The Android Software Development Kit supports Windows (XP and Vista), Linux (Ubuntu Dapper Drake), and Mac OS X (10.4.8 or later) as host development environments. Installation of the SDK is substantially the same for any of the operating systems, and most of this description applies equally to all of them. Where the procedure differs, i will clearly tell you what to do for each environment. 1. Install Eclipse: The Android SDK requires Eclipse version 3.2 or 3.3 (also known as Europa) or later. If you do not have that version of Eclipse installed yet, you will need to go to eclipse download page to get it, and you might as well get version 3.3 since that package includes the required plugins mentioned in the next step. You want the version of the Eclipse IDE labeled “Eclipse IDE for Java Developers,” and obviously you want the version for your operating system. Eclipse will ask you to select a mirror site, and will then start the download. The Eclipse download comes as a big ZIP file that you install by extracting the files to your favorite directory. I assume that you extracted to C:/eclipse. Eclipse is now installed, but it will not show up in your Start menu of applications. You may want to create a Windows shortcut for C:/eclipse/eclipse.exe and place it on your desktop, in your Start menu, or someplace else where you can easily find it. The Eclipse download comes as a big tarball (.gz file) that you install by extracting the files to your favorite directory. For now, i ‘ll assume that you extracted to /usr/lib/eclipse. 2. Check for Required Plugins: You can skip this step if you just downloaded a current version of Eclipse as we recommended. If you are using a pre-installed version of Eclipse that was already on your PC, you need to make sure you have the Java Development Tool (JDT) and Web Standard Tools (WST) plug-ins installed. You can easily check to see whether they are installed by starting Eclipse and selecting menu options “WIndows -> Preferences…” The list of preferences should include one for “Java” and one for “Web and XML.” If they aren’t on the list, the easiest thing to do is reinstall Eclipse, as described in the previous step. Installing “Eclipse IDE for Java Developers” will automatically get the needed plugins. 3. Install JDK: The Android SDK requires JDK version 5 or version 6. If you already have one of those installed, skip to the next step. In particular, Mac OS X comes with the JDK version 5 already installed, and many Linux distributions include a JDK. If the JDK is not installed, go to javaSE download page and you’ll see a list of Java products to download. The one you want is JDK 6 Update n for your operating system, where n is 6 at the time this is written. Once the download is complete, a dialog box will ask you whether you want to run the downloaded executable. When you select “Run,” the Windows Installer will start up and lead you through a dialog to install the JDK on your PC. You will need to download the self-extracting binary to the place you want to install the JDK on your filesystem. If that place is a system wide directory (such as /usr/local), you will need root access. After the file is downloaded, make it executable (chmod +x jdk-6version-linux-i586.bin) , and execute it. It will self-extract to create a tree of directories. Mac OS X comes with JDK Version 5 already loaded. 4. Install Android SDK: This is where you’d start if you already have the right versions of Eclipse and the JDK loaded. The Android SDK is distributed through Google’s code site . You will need to read, review and accept the terms of the license to proceed. When you get to the list of downloads, you will see a table of distributions. Select the one for your operating system (XP and Vista use the same distribution). The package (file) names include the release number. The file you download is another archive file, as with Eclipse: a ZIP file on Windows, a tar-zipped file for Linux and MacOS X. Do the same thing as for Eclipse: extract the archive file to a directory where you want to install Android, and make a note of the directory name (you’ll need it in Step 7). The extraction will create a directory tree containing a bunch of sub-directories, including one called tools. 5. Update Environment Variables: To make it easier to launch the Android tools, add the tools directory to your path. Under Windows XP, click on Start, then right-click on My Computer. In the pop-up menu, click on Properties. In the resulting System Properties dialog box, select the Advanced tab. Near the bottom of the Advanced tab is a button, “Environment Variables,” that takes you to an Environment Variables dialog. User environment variables are listed in the top half of the box, System environment variables in the bottom half. Scroll down the list of System environment variables until you find “Path,” select it, and click the “Edit” button. Now you will be in an Edit System Variable dialog that allows you to change the environment variable “Path.” Add the full path of the tools directory to the end of the existing Path variable and click “OK.” You should now see the new version of the variable in the displayed list. Click “OK” and then “OK” again to exit the dialog boxes. On Windows Vista, click on the Microsoft “flag” in the lower left of the desktop, then right-click on Computer. At the top of the resulting display, just below the menu bar, click on “System Properties.” In the column on the left of the resulting box, click on “Advanced system settings.” Vista will warn you with a dialog box that says “Windows needs your permission to continue”;- click “Continue.” Near the bottom of the “System Properties” is a button labeled “Environment Variables” that takes you to an Environment Variables dialog. User environment variables are listed in the top half of the box, System environment variables in the bottom half. Scroll down the list of System environment variables until you find “Path,” select it, and click the “Edit” button. Now you will be in an Edit System Variable dialog that allows you to change the environment variable “Path”. Add the full path of the tools directory to the end of the existing Path variable, and click “OK.” You should now see the new version of the variable in the displayed list. Click “OK” and then “OK” again to exit the dialog boxes. Start Eclipse, if it’s not already running. After Eclipse restarts, you need to tell it where the SDK is located. From the menu bar, select “Window -> Preferences.” In the Preferences dialog, select “Android” in the left hand column. 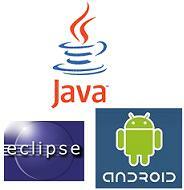 An Integrated Development Environment based on Eclipse, arguably the premier IDE for Java development. Eclipse itself brings many valuable development features. Google and OHA have taken advantage of Eclipse’s extensibility to provide features customized for Android, including debugging capabilities that are tuned to the needs of mobile application developers like you. A Java development environment and Dalvik virtual machine that build on Sun’s JDK foundation to provide a very sophisticated programming environment for your applications. A complete mobile phone emulator that allows you to test your applications without having to download them to a target mobile phone. The emulator includes features for testing your application under different mobile phone communication conditions (fading, dropped connections, etc.). Test tools, such as TraceView, which allow you to tune your application to take best advantage of the limited resources available on a mobile phone. feel free to comment and give suggestion … if i missed anything kindly let me know .. This entry was posted in Android, My Tutorials and tagged Andorid, Android Application Development Tutorial, Android Developer Tool (ADT), Creating an Android Development Environment, Eclipse.